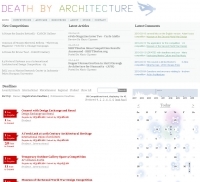 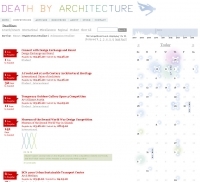 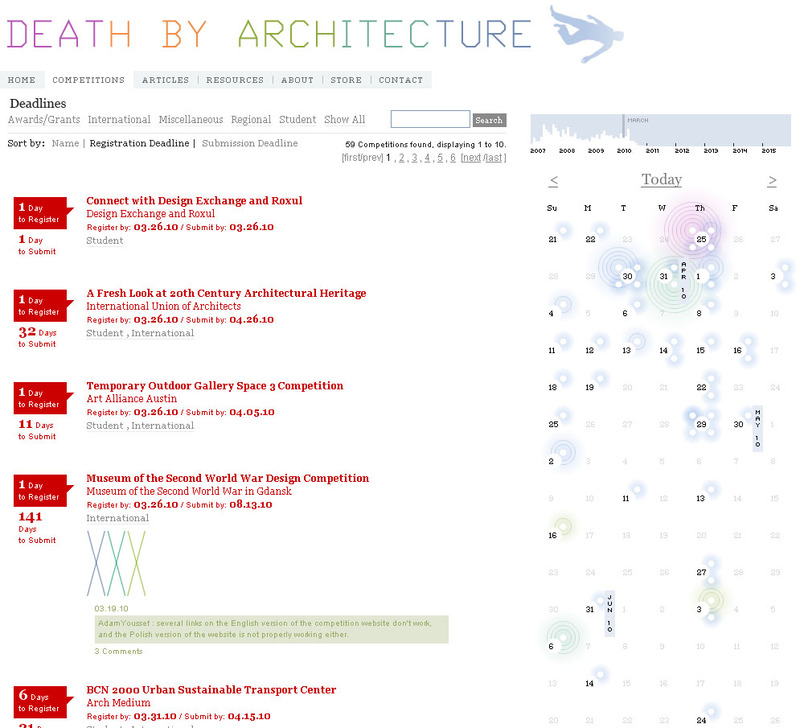 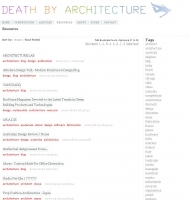 Mario Cipresso founded Death By Architecture, the first architecture and design competition website in 1995. 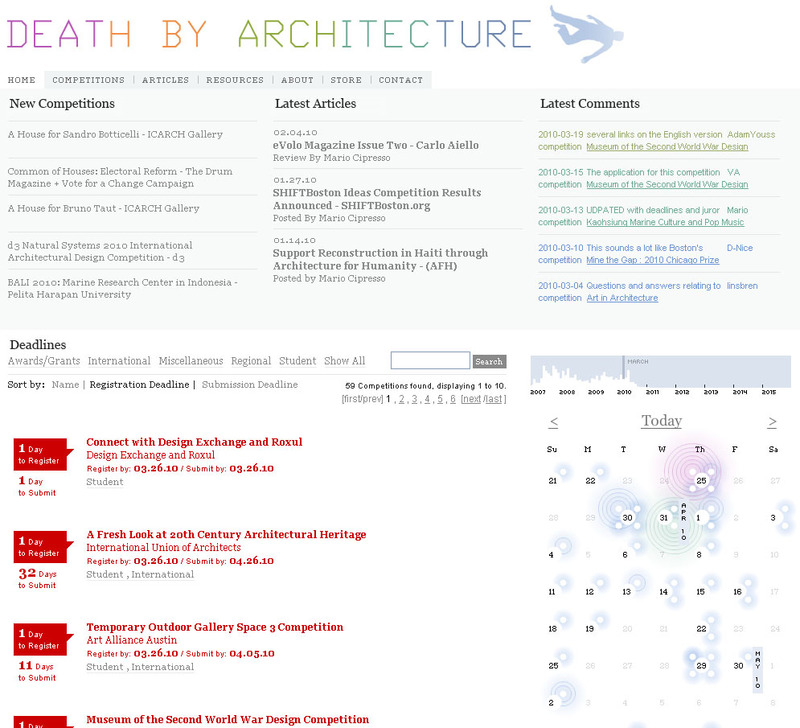 What began as a personal website evolved into a comprehensive community and resource featuring international competition listings, articles, reviews and relevant links. 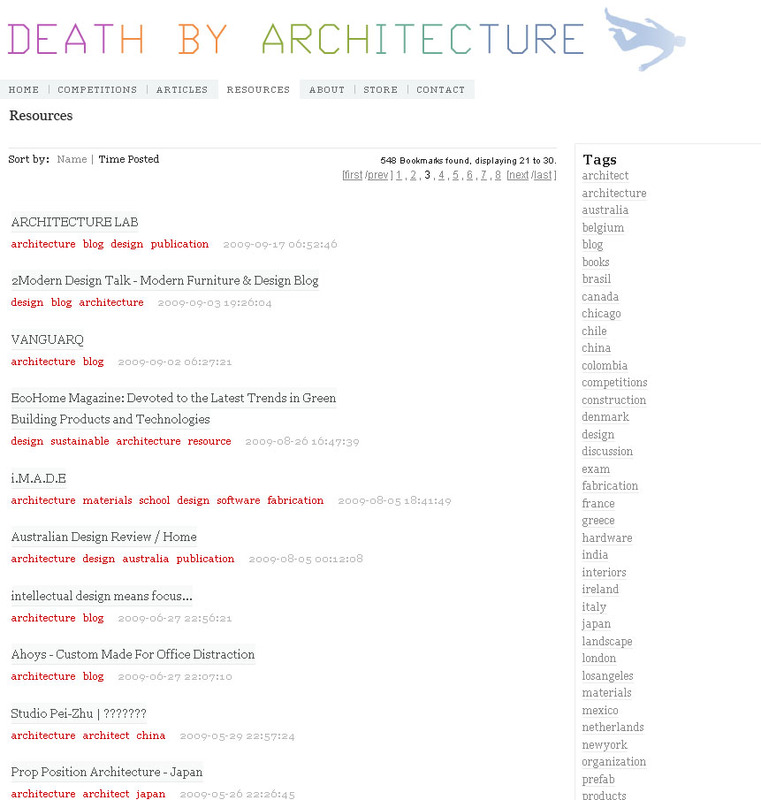 Mario still serves as chief editor of Death By Architecture. 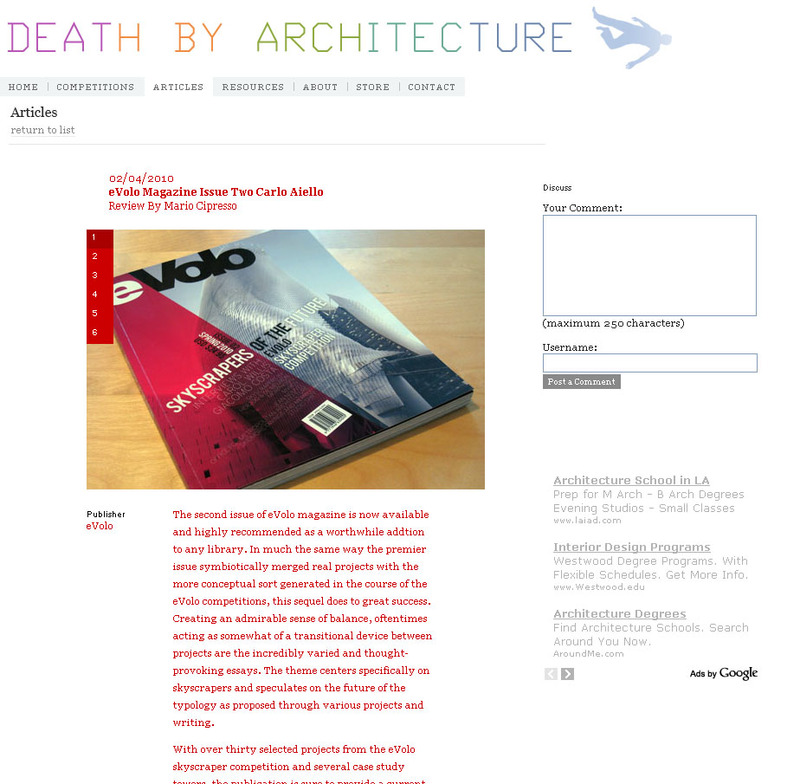 The most recent re-design of the site was performed with a grant from the LEF Foundation in California and with the collaboration of Los Angeles-based digital media design firm, Garden Digital.